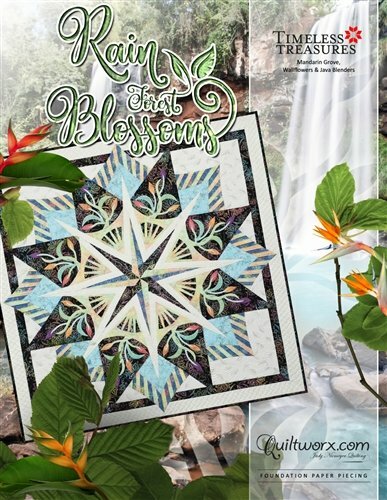 The Rain Forest Blossoms is constructed using 2 distinct groups, comprised of (8) Center Diamonds in a Group A, and border blocks that result in an 68” Square quilt as Group B. The finished quilt is 68" x 68", but could easily be made into a queen size by using one of Quiltworx queen border mixer options. Check with any of the staff at Glacier Quilts or talk with Jenny Clark to help you design your colorway or your queen version of this beauty. Requirements: A supplies list and pre-class instructions will be provided once you enroll and pay for the class.